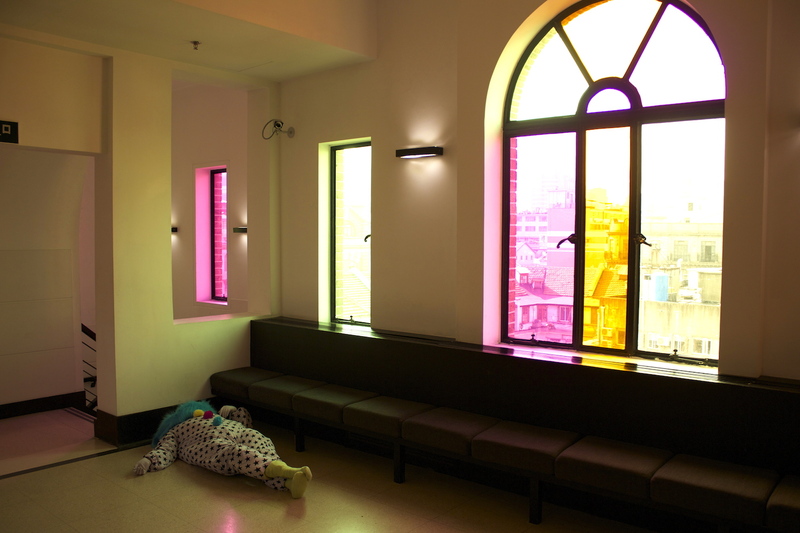 Sleeping clown at the Rockbund Art Museum, Shanghai. I’ve just been in Shanghai over the weekend, visiting a city I consider home, and my family living there. 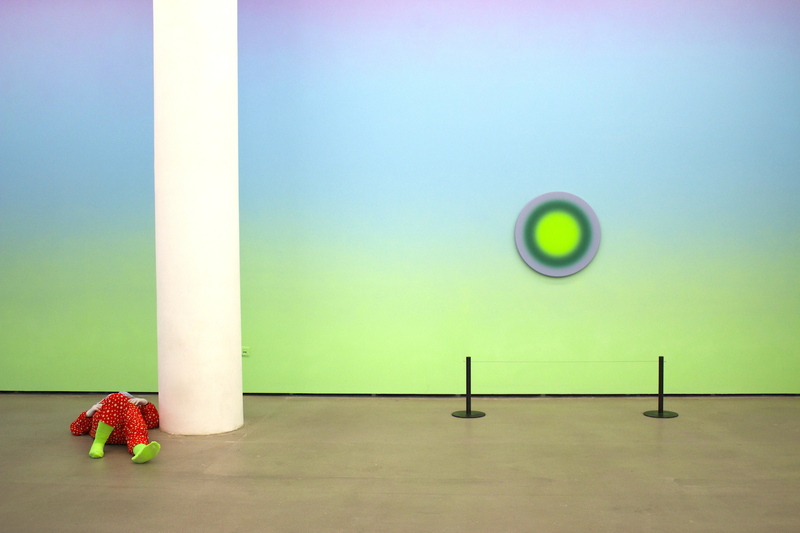 I thought it convenient – since I was there – to also check out some of the contemporary art on offer this season, and it was somewhat hit and miss. 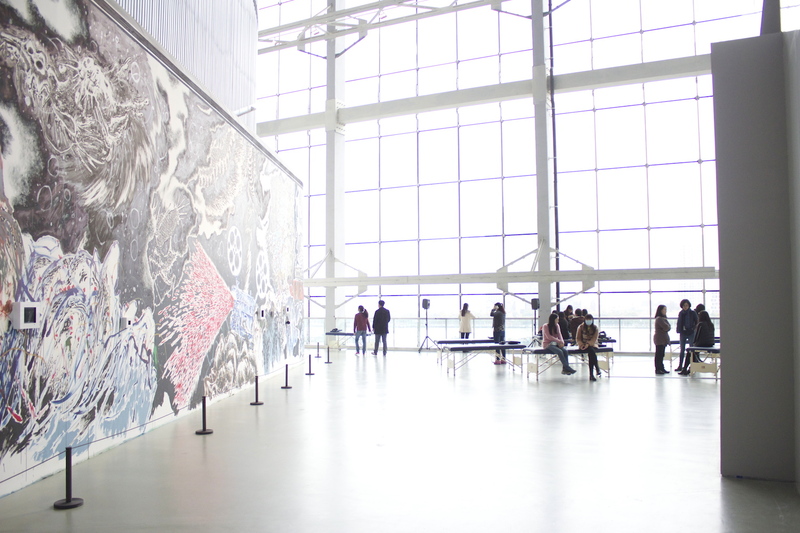 The Shanghai Biennale, at the Shanghai Power Station of Art. 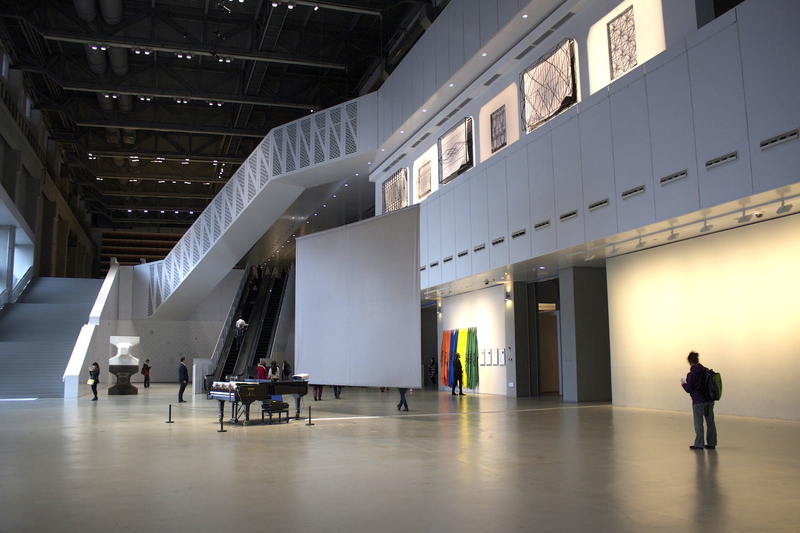 There was the Shanghai Biennale 2014 – the supposedly high-profile though really rather low-key art event that has taken over the Shanghai Power Station of Art – so the city has called its brand new state-run Contemporary Art Museum, by virtue of museum occupying an astoundingly repurposed former power station (read: Tate Modern, but WAY better laid out). Unfortunately, while the space and the layout of the space was indeed inspirational and a wonder to explore, I couldn’t say the same of the Biennale. Besides a self-playing, Mandarin-tone generating piano that was the star piece in the museum lobby, it was all rather……well…… forgettable. The best thing about it was the 10 RMB tote bag I bought. Lovely space, pity about the art. Nothing that was exhibited contested, challenged, provoked or enthralled. It was all safe, and therefore, totally boring. ALL THAT EFFORT, for nothing very spectacular. Which goes to show what happens when Big Government decides to intervene too much in Art. A very different kind of experience was going on at the wonderful Rockbund Art Museum (RAM), located just off the Shanghai Bund, and occupying the former headquarters of the Royal Asiatic Society (1932). A privately run establishment (though probably with some public funding) with an advisory committee of international curators and museum professionals, the museum had a single queer, stirring and out-of-this-world interactive art installation that occupied all 6 of its floors. 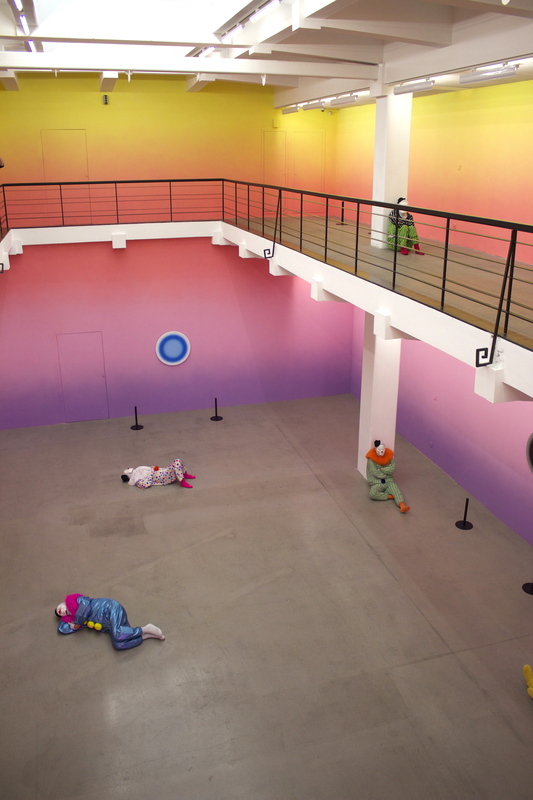 The installation involved actual real-life sleeping clowns, tinted windows, technicolour walls, and paintings of whorls. 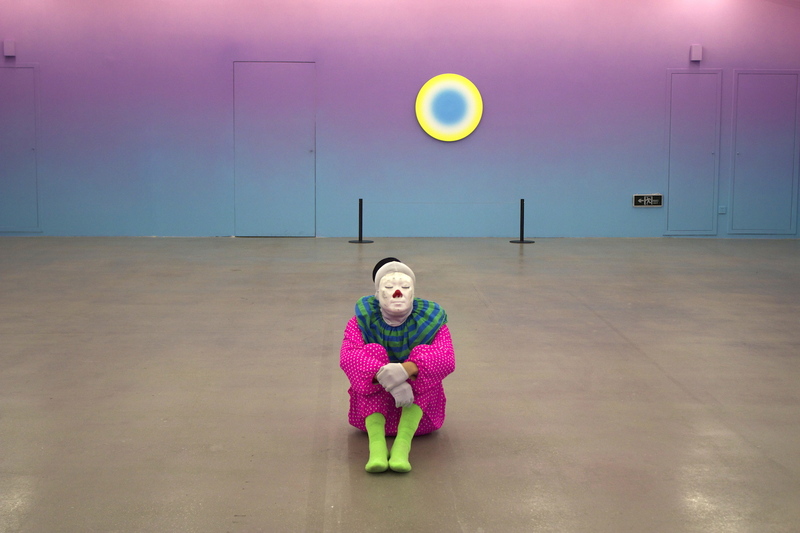 Suffice to say I was bewitched, bothered, bewildered, and bowled over… as I meandered, wandered and peered perplexedly at the blithely sleeping clowns ensconced in unexpected and almost ridiculous corners of the museum. I thought it all a remarkably eloquent critique of contemporary life today: we’re materialistic technicolour girls and boys living in a technicolour world where everything flashes bright neon pink, green, orange and blue. We think that all this colour and brightness and prettiness is a mark/replacement for happiness and progress as a species. But the joke’s on us. Really, if one stands back to contemplate it all one would realize how ludicrous it all is. As we preen and prance about in Pradas, all around us, just around the corner, are signs that we haven’t yet got around the fundamental issues of society: poverty, homelessness, racism, abuse, anxiety and depression (represented by strategically-placed-to-look-randomly-placed clowns). We have merely buried them under a veneer of clown-like superficiality; a rictus grin rather than a warm smile. Progress is merely skin deep. At least… that’s MY interpretation. And it got me thinking about what a wonderful thing Contemporary Art could be; what action and progress Contemporary Art could provoke… if it was only allowed to do what it does – which is to critique and provide a mirror to contemporary life – without (too much) intervention from Big Government. To LESS INTERVENTION in Art, I say. And to a richer, more thought-provoking, and ultimately more socially responsible Contemporary Art practice. 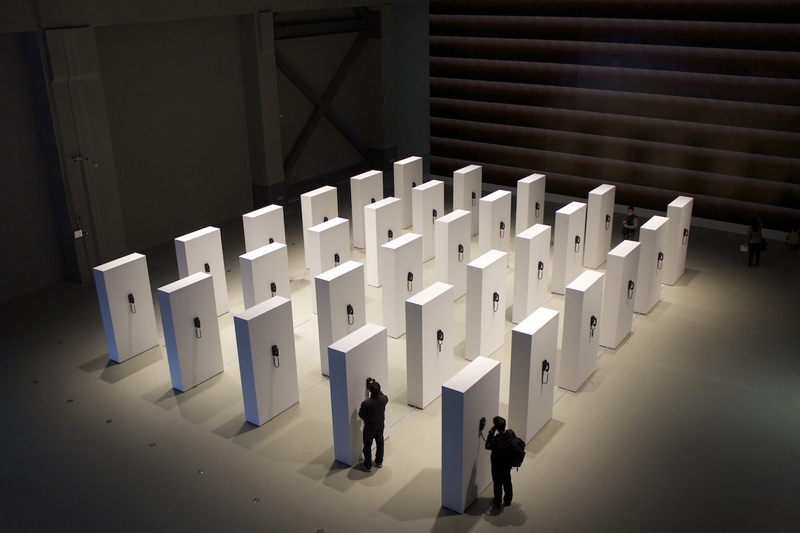 Gallery | This entry was posted in Art & Architecture, China, Cities & Regions, Culture & Lifestyle, Photography, Sociology & Urban Studies and tagged Art for Art's Sake, Rockbund Art Museum, Shanghai, Shanghai Biennale. Bookmark the permalink.